Gideon Crumb: What's in a name? For Mortal Engines fans the name 'Gideon Crumb' refers to the good Doctor Gideon Crumb, Crumb being the father of Fever Crumb, the titular character of the first prequel novel to the Mortal Engines quartet written by Philip Reeve. However, for Harry Potter fans, Gideon Crumb will always be the rock'n'rolling wizard who was front man / bag pipe player for the The Weird Sisters. 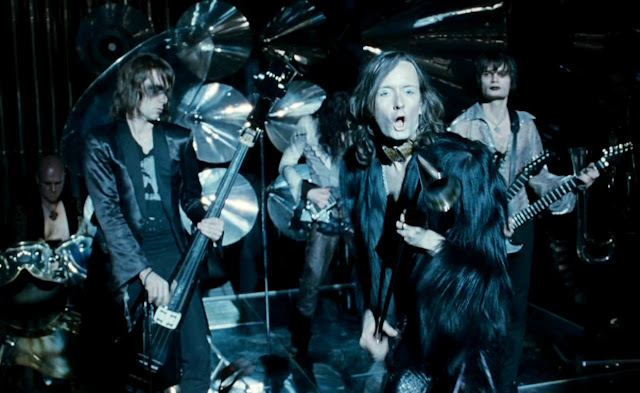 You can check out their groove in Harry Potter and the Goblet of Fire. Update: The next two paragraphs are wrong. Pls check the correction below. It would appear then Phillip Reeves borrowed the name for his novel as a nod to the Harry Potter series. Reeve fills his novels with many references to popular culture so it makes sense he would do such a thing. Given The Goblet of Fire was published in 2005 and Fever Crumb in 2009, the timing certainly fits in that Reeve would have had enough time to read Rowling's work and then be inspired to include the name in his drafting of Fever Crumb. Nope, never read the later Potters, didn't know about that! To which I perhaps impolitely replied with a DAMMIT! So Gideon was not named for a minor Harry Potter character but rather one of the fathers of paleontology! Thanks for the insight Philip! And that's all I have to say other than, 'you're a wizard, Harry! '.